Ever since Google introduced Android operating system for smartphones, it has been busy in improving it and incorporating exciting features. 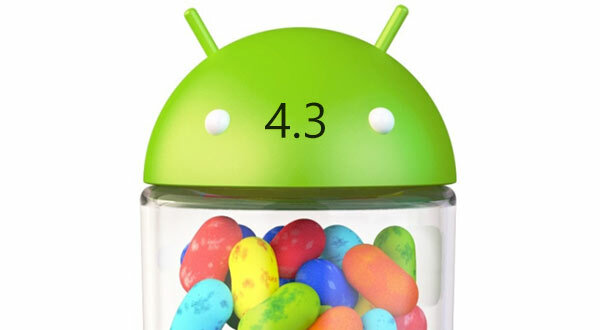 With the launch of the latest Android 4.3 Jelly Bean, Google has added a host of features to the OS, making it even more attractive to the end user and to the Android app developers. The release was complemented in line with the release of the second generation Nexus 7 tablet. The latest Nexus tablet will be the first one to come preloaded with Android 4.3, but the OS is available for download on some other devices too, including the first generation of Nexus 7. The provision to create multiple user profiles was added to the last version of Android. But that update lacked an important feature. Though users could set separate profiles on devices which are used by multiple users, there was no provision of setting up different permissions for the different profiles. 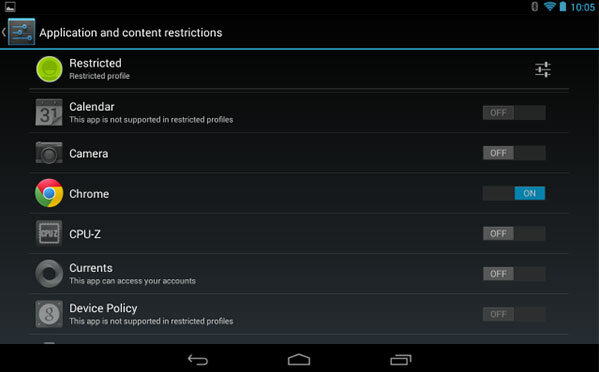 Android developers have realized the need and have thus introduced ‘restricted profiles’ which let the administrator set different permissions for different user profiles. The feature is now very similar to the user accounts that one can set up in Microsoft Windows. Bluetooth Smart ready is a very important feature which Google has finally introduced in the Android OS. The technology lets a device connect to other low-power Bluetooth devices or fitness equipments like thermometers, heart-beat monitors etc. The technology is designed not to affect the battery performance of the device. The feature was introduced by Apple in its flagship iOS enabled devices in early 2012 and though Google has been late in introducing the feature, it is good to see it finally embracing this technology. Android 4.3 comes with the Dialpad Autocomplete feature. The feature, as the name suggests, which suggests contacts or phone numbers as the user starts to type in the dialpad. This new feature is not that new, as manufacturers like Samsung and HTC have already incorporated similar functionalities in their Android based phones and tablets with the help of their custom UI, but it is definitely a new feature for devices running on stock Android OS. You can turn on the feature by opening your phone app settings and then enabling the ‘Dialpad Autocomplete’. When Android introduced notifications, it had one point up against the Apple iOS. Google has since been working to innovate the notifications and as a result, the Android 4.3 has brought us the advanced notifications. The new version allows users to interact with the notifications in the notifications bar in a more dynamic manner. Now a user will have more choices of how he responds to a notification. The Android 4.3 also brings the ability for a user to push notifications to connected devices like smart wristwatches, fitness bands etc. This cool new feature is dedicated to the gaming community. The OpenGL ES 3.0 will enable the Android app developers to develop games with 3D graphics and much better graphic performance. It also improves the performance of existing apps and games. This feature is definitely great for you if you are addicted to gaming. Google adds native language support in mostly every new Android version it releases. In the Android 4.3 too, Google has expanded the language support to a host of native languages like Africaans, Amharic, Hindi, Swahilii and Zuhuu. The entry of Hindi as a supported language in Android is definitely a great news. This can also give a boost to Android applications development in India. It also goes to show that Google is considering India a major market for Android devices sales. Google does have an ace up its sleeve with the incorporation of these exciting features in Android 4.3. Android application development will take a lot from these new features and the Android app developers are definitely going to be excited especially for the OpenGL ES 3.0! We expect that most of the Android phone manufacturers will now look to manufacture devices running on the Android 4.3, just like they flocked to Android 4.2 in the last 9 months. The first ones to sport the latest Android OS, though, will be the Nexus phones and tablets. Previous: Usability vs. Great Visuals – What makes a Successful Website? Next: How to Start Private Browsing Session in Google Chrome?